Note: The color of the item may vary slightly due to photography & your own computer or cell phone. There's some little error from human measuring, hope you understand. ✔ High-quality 316 Stainless Steel. ✔ Corrosion resistant and very durable. ✔ Base swivels 360° with moveable parts. ✔ Features rigid eye to ensure stability and strength. 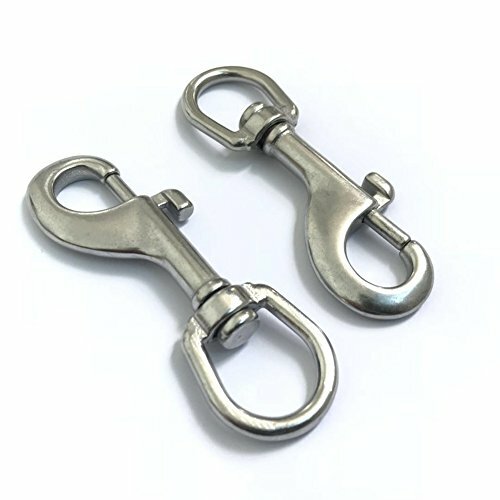 ✔ Great for scuba diving, keychains, pet leashes, leather craft products, tie-downs, lifting and securing cables wires, as well as outdoor activities and marine industries. If you have any questions about this product by AOWISH, contact us by completing and submitting the form below. If you are looking for a specif part number, please include it with your message.